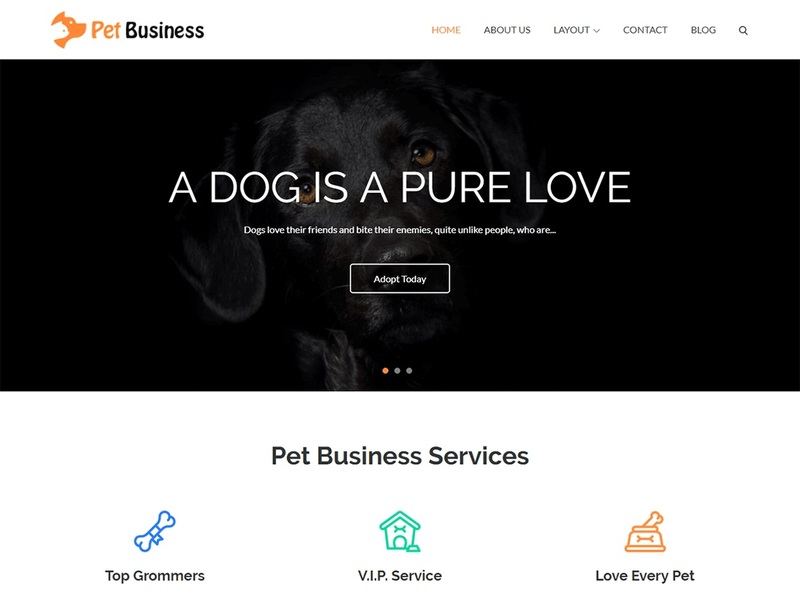 Pet Business is a WordPress pet theme developed by Theme Palace. It is very code-light, making it quick to load, and has a pleasingly clean look that is ideal for pet shop or pet services websites. This theme is suitable for pet shops, veterinary practices, zoos, blogs about animals, pet caretakers, dog walkers, animal breeders, animal rescue centers and just about any other type of animal website you can think of. It comes with many editing options so that you can customize them to your specific requirements by changing colors, logos, backgrounds and of course adding photos of your favorite animals!